195 Specialist Centre is located in the Inner North-Eastern suburb of Bulleen. We are a community-based Specialist Practice offering a range of services for adults and children. The centre is easy to access being on Manningham Road at the corner of Thompsons Road. The Eastern freeway is only minutes away making it quick to reach from the Eastern Freeway either from the city or from the eastern suburbs. The Bulleen Terminus bus stop is at the front of the building where 7 major bus routes stop. See our contact us page for more information. The Austin/ Mercy Hospital complex and Warringal Private is within 10 minutes drive as is Eastern Health (Box Hill Hospital) and the Epworth Eastern. Parking on the ground level behind the complex is easy to access as is local street parking. 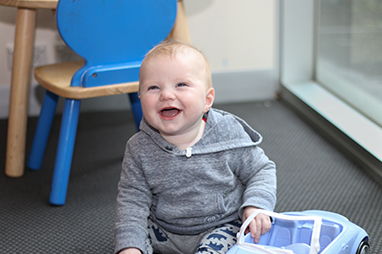 We have adult and child friendly waiting rooms with a dedicated children’s play area. The rooms are bright and pleasant. There are disabled toilet facilities and a children’s changing area.